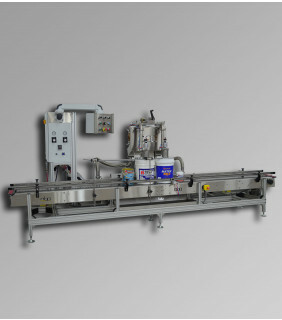 Pneumatic filling machines provide enormous benefits for equipment operating in hazardous areas. While not widely used today due to advances in electronic technologies, pneumatic machines are still an integral part of many fill environments and are the perfect lower cost solution for hazardous areas requiring explosion proof machinery. Semi-automatic machines can be supplied 100% pneumatic, while an explosion proof drive motor, is required for fully-automatic machines. While there is no doubt that electronic (PLC) controlled machines offer more functionality and diagnostic feedback, the performance of pneumatic machines are not to be underestimated. 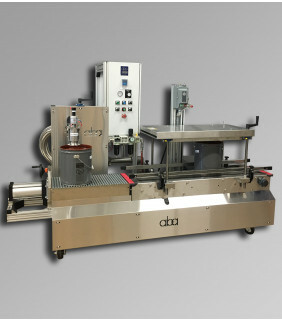 At ABA, we have the latest in pneumatic filling machines. Our units are rugged and made of stainless steel construction. Only superior materials are used for components and other parts. With over 26 years of experience in volumetric and net weight liquid filling machines, we are regarded as world leaders. Our long list of clients includes a series of prestigious and top names. Machines can be supplied both. Superior filling precision, with simple operation. Pneumatic controls allow machines to be used in either hazardous or non-hazardous areas. One, two, three of four fill stations. Made of stainless steel construction and high-quality materials. With so many issues to consider when it comes to safety, knowing all you can about pneumatic equipment is important. You can consult ABA on any and all pneumatic liquid filling machine questions. We are experts on the field and can help you design a machine which is best suited for your company. 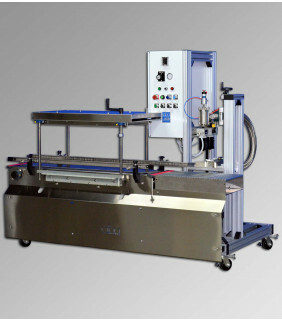 Give us a call or visit us to get you started on finding the right pneumatic liquid filling machine for your company.